The research team at Dentsply Sirona not only sets its goal to develop the strongest, most efficient equipment for your practice. We are even more concerned about your health, and thus reducing noise at your workplace is a top priority. 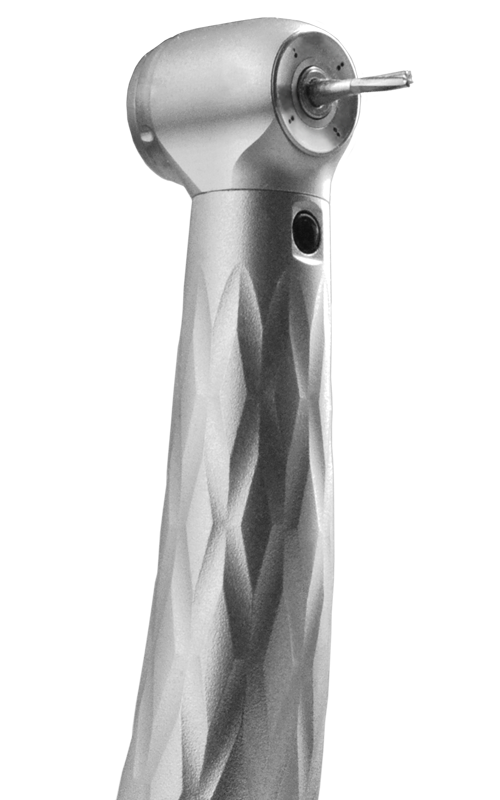 We have made several significant technological advancements to reduce noise in high-speed handpieces and these new designs are meant to protect your hearing. Choose from the customized solution that fits your practice need. Innovative solution for noise reduction. 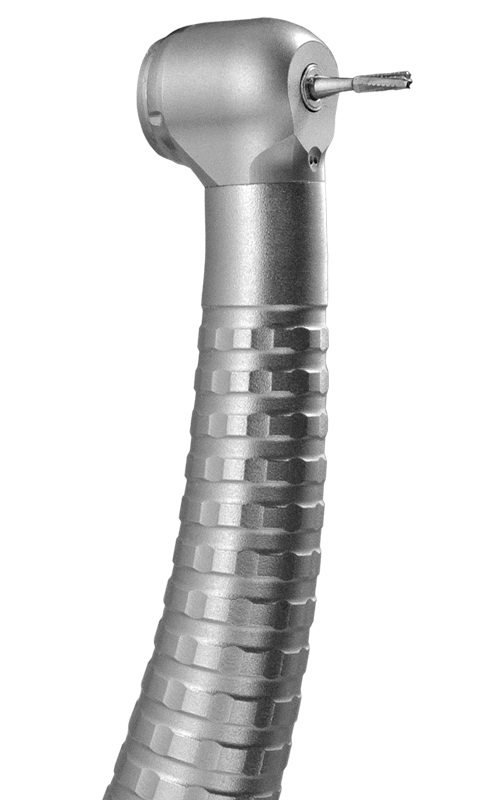 Dentsply Sirona high-speed air handpieces are equipped with dynamic speed control for optimal running smoothness and reduces noise. As the rotor increases speed, a patented design element creates a slight back pressure on the rotor to limit against free speeds. 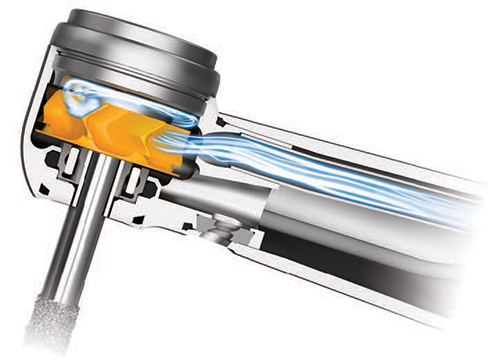 Water spray noise is reduced by mixing chip air and water outside the instrument head. Computer controlled rotor and bearing balancing further reduces noise for increased comfort for the dentist and patient. Dentsply Sirona delivers industry leading quiet. 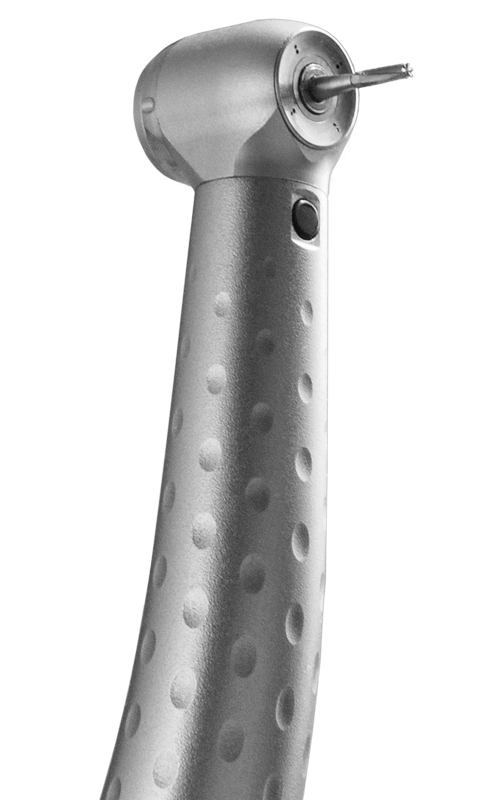 An independent study1 conducted by advacoustics determined the noise level of high-speed handpieces in a simulated oral cavity with spray and found Dentsply Sirona had the quietest solutions. We recommend you contact us for a free in-office demonstration to compare against your current handpiece and see firsthand the impact we can deliver to your working environment. Dentsply Sirona Dynamic Speed Control helps prevent excessive free speeds that can prematurely damage bearings while also helping to minimize noise.